Over the weekend, it was reported that Lionsgate had started testing actors for it's upcoming Power Rangers movie reboot. Today, the studio launched the official Power Rangers Instagram page, and have used it to announce their first cast member. Meet Naomi Scott as Kimberly. She is The Pink Ranger! Dean Israelite, who directed this year's found footage time travel adventure Project Almanac, will helm this project. The script is already completed, and the production team is continuing to cast the rest of the new teenage Power Rangers this week. Still testing for the Black Ranger, whose real name is Zack, are three lesser known actors. To avoid any misguided claims of stereotyping or invert racist, the Black Ranger will not be African-American in this iteration, as he was in the original series. Daniel Zovatto is first up for the role. He is probably best known for his appearance in the breakout horror hit It Follows. He was also seen in Laggies and Beneath. Second in line is Ross Butler, who appears in the TV series Chasing Life. And lastly, Brian "Sene" Marc, who doesn't have any substantial credits to his name. Testing for Jason the Red Ranger are KJ Apa, who appeared in Shortland Street, Austin Robert Butler, who appears in the MTV series The Shannara Chronicles and will be seen in Kevin Smith's Yoga Hosers, and Mitchell Hope, who can be seen in the drama The Descendants. Little known actress Stephanie Scott was said to also be up for the role of the Pink Ranger, but she didn't have any major TV or movies credits to her name. The new Power Rangers movie is a modern reinvention of the long-running franchise. It will follow a group of ordinary high school kids who find themselves infused with extraterrestrial powers and must harness those powers as a team to save the world. Original creator Haim Saban will produce alongside Brian Casentini and Allison Shearmur. 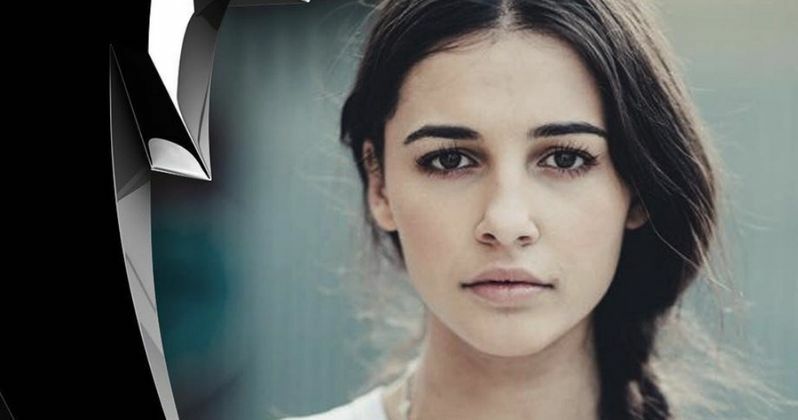 Naomi Scott appeared in this weekend's big blockbuster hit The Martian. She made her acting debut in the TV show Life Bites and appeared in the TV series Terra Nova. She will next be seen in The 33, which is based on the real-life event, when a gold and copper mine collapses, it traps 33 miners underground for 69 days. While Lionsgate is collecting a group of fresh faced talent to lead the Power Rangers team, they are going after a big name to play the main villain. At this time, the villain hasn't been revealed. Some rumors claim that Rita Repulsa will be the main bad guy. She was the first major villain from the Mighty Morphin' Power Rangers that debuted in 1993. The script is coming from Ashley Miller and Zack Stentz. Haim Saban, Brian Casentini. The story will reimagine the Mighty Morphin' Power Rangers as a group of teenage outsiders who are aided by giant mechanical vehicles known as Zords. The Fox Kids TV series became so popular in the 90s, that the show spun off into two feature films. Mighty Morphin Power Rangers: The Movie arrived in 1995, with the original series coming to a close in 1996. A second film debuted in 1997 with a completely different cast and line-up of characters called Turbo: A Power Rangers Movie. The series would continue with new teens and a new subtitle ever season. The original Mighty Morphin' Power Rangers was adapted from the long running Japanese series Super Sentai, and it even recycled footage from that show to keep costs down. Power Rangers is scheduled to open against Guy Ritchie's Knights of the Round Table on January 13. No matter who gets cast, it seems apparent that Hollywood wants to move a little bit of summer fun into the winter. What do you think? Is this the perfect Pink Ranger? Power Rangers 2 Not Happening as Saban Abandons Movie Logo?